Directed by Ang Lee. With Jake Gyllenhaal, Heath Ledger, Michelle Williams, Randy Quaid. The story of a forbidden and secretive relationship between two cowboys and their lives over the years. This movie is related media to the novel Anther Kind of Cowboy because they have the same theme. This theme is friendship. Being able to see ghosts and teaming up with a local historian and his son, allows Amelia to piece together what really happened the night her best friend apparently committed suicide. The last time Amelia Mackenzie saw her best friend Matthew alive, he broke her heart. When he is found the next day an apparent suicide, Amelia's world comes crashing down. And then she sees him again. Because Amelia has a secret: sometimes, she sees ghosts. A local history columnist named Morris Dyson contacts Amelia after the funeral and tells her that he thinks the barn Matthew died in is haunted. With Amelia's gift for seeing ghosts, Morris's radical theories on the supernatural, and a bit of help from Morris's son Kip a mystery unfolds. 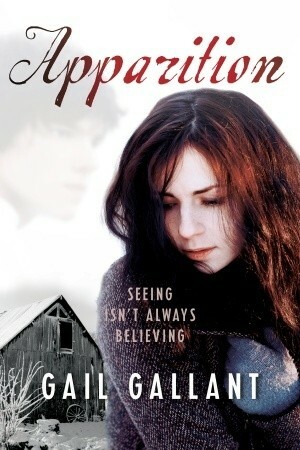 Apparition is a fast-paced supernatural mystery about memory and obsession, friendship, love and loss.